The Easi-Riser Overbed table has been designed for both overbed and seated use, particularly with wheelchairs. 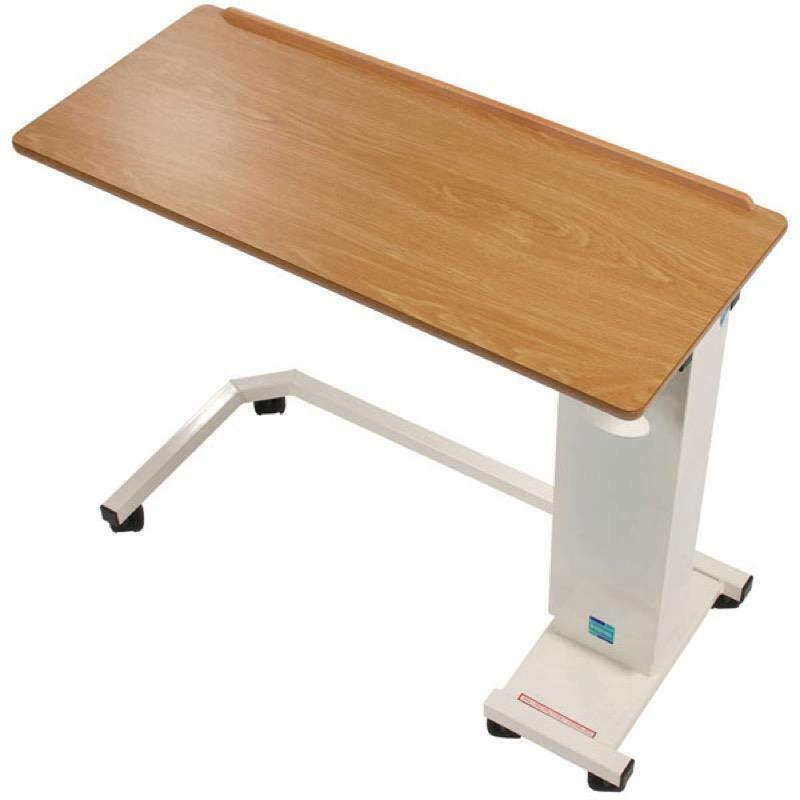 This Easi-Riser table has a wheelchair base and standard table top with a mechanical variable height adjustment. The metal frame is coated in Biocote® magnolia epoxy powder giving a hard wearing glossy finish.